Intelligent fault tree diagram toolkit for drawing fault tree diagram on Mac, Windows and Linux. Use pre-made fault tree diagram symbols and templates for system reliability and safety analysis. 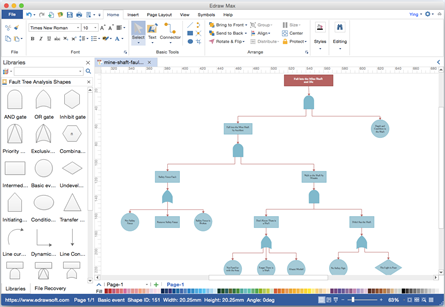 Try this fault tree diagram Visio alternative on Mac OS. It has the same convenience in drawing fault tree diagram with Visio, yet with a much cheaper price. You will love its drag-and-drop simplicity and straightforward interface. 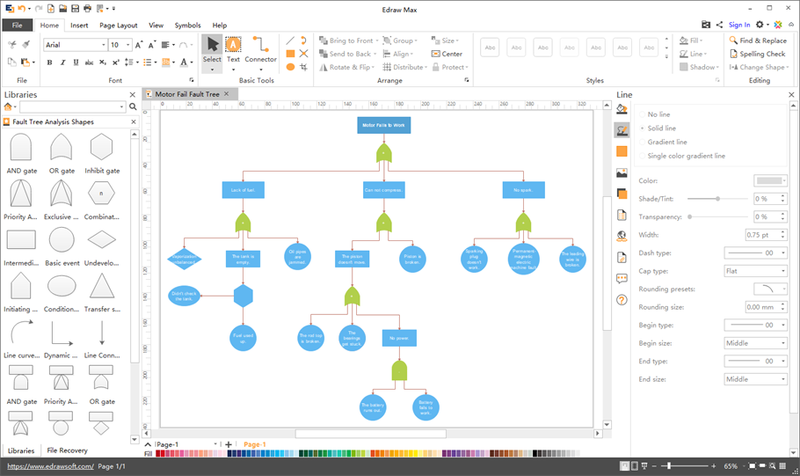 Many people choose this fault tree diagram desktop program as it works really fast and easy to learn. 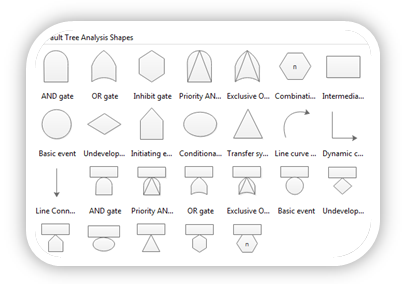 From the pre-defined fault tree symbol library in Edraw, you can find all necessary symbols for fault tree diagram, such as AND gate, OR gate, inhibit gate, priority AND gate, exclusive OR gate, basic events, etc. The symbols strictly follow the industry standard, but can be customized as well if required. Our program allows you to personalize the symbols by changing the sizes, fill colors and line styles. Our program gives you a convenient and efficient way to draw fault tree diagram with pre-made symbols and templates. Also, it has many advanced tools and functions to help make your diagram beautiful and professional. Click the image to learn more details. Don't know where to start? Don't worry, we have included a group of well-created examples for you to learn and use. These examples are made based on real cases, and some are offered by our kind users. 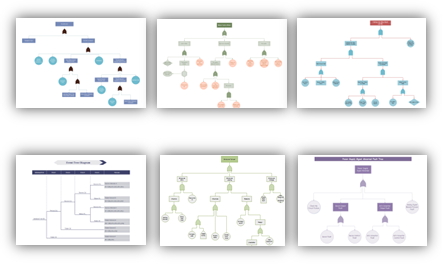 To start quicker, you can choose one of the examples you like, replace the contents or shapes with yours, and do some more changes on the appearance to gain a new fault tree diagram. Your Ultimate Mac Fault Tree Diagram Software! 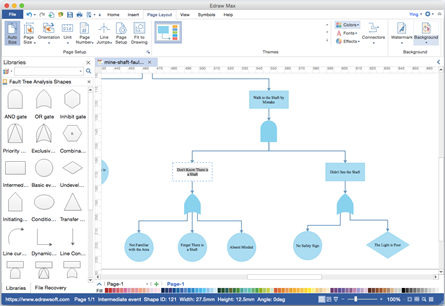 Enjoy creating Fault Tree Diagram on Mac and PC with this easy-to-use software. You'll be surprised by its abundant symbols and templates, amazed by how easy it works, and satisfied with the service and price. Try it today!